(DA) (Djibouti) 2011 - Current. Photos. Framable Color Prints and Posters. Digital Sharp Images. Aviation Gifts. Slide Shows. 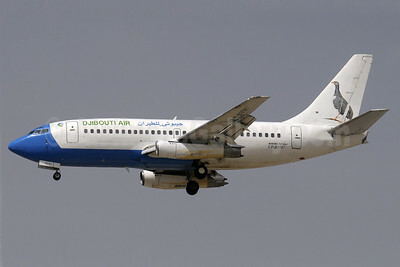 Djibouti Air (2nd) Boeing 737-230 UP-B3707 (msn 22123) DXB (Paul Denton). Image: 906349.